Andrei Tarkovsky once said that what an average cinemagoer looks for in cinema is time. His memoir is called Sculpting in Time and I believe this title aptly conveys the art of filmmaking. When we decide on a film to watch, we submit ourselves to the filmmaker’s perception of time. I would dare to even say that our sympathies and antipathies, when it comes to certain films, are less based on the genre, plot or acting, but on the subtle rhythm of the film, which aligns with the rhythm of our perception of reality. I find fast American movies, like Bourne Ultimatum, in which an average take lasts less than two seconds, completely unbearable. On the other hand, I find films with average takes lasting five minutes equally hard to watch, like films by the master of slow cinema Béla Tarr. Both the extreme ends of this rhythm spectrum do not align with my own temporal rhythm. In the past two decades, no genre—if we can call slow cinema a genre—has grown faster and gained more recognition. There are festivals of slow cinema organised in the UK and other countries all over the world. Slow cinema films, like From What is Before by Lav Diaz (338 minutes), the winner of the Golden Leopard at the 2014 Locarno Film Festival, or Uncle Boonmee Who Can Recall His Past Lives by Apichatpong Weerasethakul, the winner of the Palme d’Or at the 2010 Cannes Film Festival, win prestigious awards at international festivals and are lauded by critics and ordinary cinemagoers alike. And yet slow cinema is neither a new genre, nor is it a passing trend. Despite the fact that Pier Paolo Pasolini wrote about long takes in 1967, and French cinema of the New Wave [La Nouvelle Vague] was known for long takes in the 1950s and 1960s, the term ‘slow cinema’ as a genre was coined fairly recently. In 2003, the French film critic Michel Ciment used the expression ‘cinema of slowness’ to describe the works of directors such as Béla Tarr from Hungary, Tsai Ming-liang from Taiwan and Abbas Kiarostami from Iran, at the 43rd International Film Festival in San Francisco. Nevertheless, when Jonathan Romney, the editor of one of the best film magazines in the world, British Sight & Sound, referred to this genre of cinema as slow cinema in 2010, the term became popular. Subsequently, the other terms that were in use until then—cinema of slowness, minimalistic cinema, contemplative cinema—became redundant. The simple term ‘slow cinema’ conveys the idea of the genre best, as the length of a take matters a lot here. In the 1970s, an average take in an American movie lasted 5-9 seconds. Since then, it has gradually become shorter. In films of slow cinema, an average take is much longer. In Silent Light by Carlos Reygadas (Mexico), it is 35 seconds, in Café Lumiere by Hou Hsiao-Hsien (Taiwan) – 66 seconds, in Sátántangó by Béla Tarr (Hungary) – 151 seconds, in Five (5 Long Takes Dedicated to Yasujirō Ozu) by Abbas Kiarostami (Iran) – 884 seconds. The length of takes is not the only feature that differentiates slow cinema from fast. Comparing a film to a dish, long takes would be the staple, but no good dish consists of only one ingredient. To truly savour a dish, we need flavour. A good slow film requires a certain kind of lyricism, evident, for instance, in the work of Turkish director Nuri Bilge Ceylan, or in films by Korean director Kim Ki-duk, or by the Greek filmmaker Theo Angelopoulos. The plot and action are not as relevant. Sometimes slow cinema films have no plot at all, no narrative which would enable us to summarise the non-existent story, like in the aforementioned Uncle Boonmee Who Can Recall His Past Lives. There is very little action of any sort in slow cinema films, as seen in Honey [Bal, Turkish] by Semih Kaplanoğlu, The Son [Les Fils] by Belgian brothers Jean-Pierre and Luc Dardenne, or Waiting for Happiness [Heremakono] by Mauritanian Abderrahmane Sissako. Some critics of slow cinema say that nothing happens in these films. A slow-cinema-film is seasoned with melancholy, like in I Don’t Want to Sleep Alone [Hei yan quan] by Tsai Ming-liang or in all films by the Chinese filmmaker Jia Zhangke. The narrative pays attention to seemingly insignificant details, of which however our lives are made of, and are therefore of great importance. 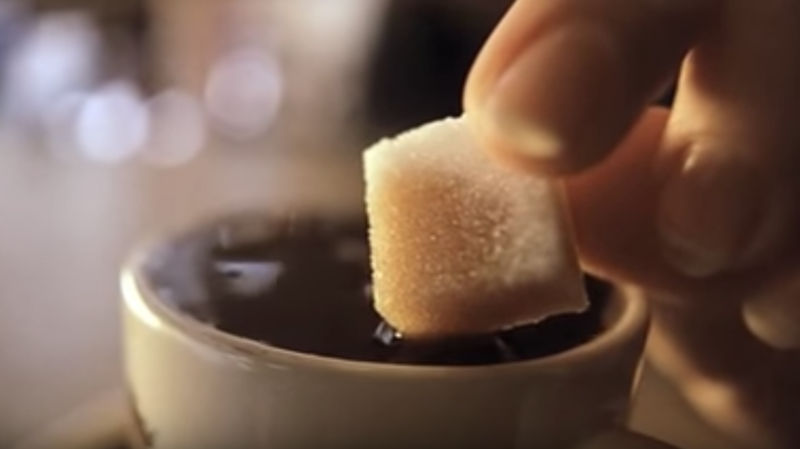 Observing a sugar cube being slowly soaked in coffee, before being dropped into the cup, by the main protagonist of Blue [Trois Couleurs: Bleu, by Krzysztof Kieślowski] grounds the viewers, makes the whole experience relatable on a human scale. A good cooperation between the film director and the camera operator is crucial to achieve a perfect film, just like a sous chef needs to be on the same page as the chef. This perfect synchronization in slow cinema was definitely achieved by Andrei Tarkovsky and Sven Nykvist when making Sacrifice [Offret], Andrey Zvyagintsev and Mikhail Krichman with The Banishment [Izgnanie] and all other films by the director, or Abbas Kiarostami and Homayun Payvar with Taste of Cherry [Ta’m e guilass]. The aftertaste, which a good dish leaves, in cinematographic terms would be the viewer’s need to contemplate the film. This need can have a religious or spiritual dimension, like after watching Into Great Silence by German Philip Gröning about the everyday life of Carthusian monks in the French Alps; the need can also manifest itself as the desire to appreciate life’s simple joys, like after watching A Humble Life by Russian Alexander Sokurov, which is a film about the quotidian activities of an elderly Japanese lady living in an isolated house in the mountains of Nara prefecture in Japan. Integrity of rhythm, length of takes, melancholy, nostalgia, certain aesthetics and a contemplative nature are all essential to slow cinema. Having said that, I must also add that there are films of slow cinema without long takes. An example would be Yasujirō Ozu’s films, especially Tokyo Story. His takes are of rather average length. However, what classifies his cinema as slow, is the static camerawork. The camera is often positioned close to the floor, to capture the slow movements and certain stillness of the main characters. In Tokyo Story, we mostly see the elderly couple sitting on the floor, more than standing or walking. This human pace of cinema, achieved through long, real pace takes, pays attention to tiny details, especially the slower movements of the camera or the characters, and gives us the experience of watching a film with a human dimension, in possession of a certain wholesomeness and completeness, which accelerated cinema—as some film critics call it—mainly originating in Hollywood, cannot achieve. Indeed, rapid camera movements, superficial portrayal of characters, lack of attention to the quotidian is dehumanising, shallow and often dull. It resembles bland fast food rather than an organic, healthy dish full of flavour and nutrients. It may seem that the development and increased visibility and recognition of slow cinema has been taking place as an alternative to deeply unsatisfying experience with Hollywood cinema catering to demanding Western viewers. Audiences in Asia, South America or Africa are unable to recognise the rhythm of their lives, their human experience, in these American movies. Robert Hassan, a researcher and author of books on media, claims that “the increasing rapidity at which we produce, consume and distribute commodities is now the core process, the central factor in the economy of speed, which represents an immense transformation of the cultural and social norms”. As a result, people all over the world have started discovering simpler ways of life, embracing minimalism, enjoying slowness in everything—from communication to food. People have started feeling pride in going back to their roots. As diversity is being promoted, films from all over the world are being shown in cinemas, and people feel the need to see themselves represented on screen. Viewers want to learn about other cultures, find parallels and see representation of their way of life; they do not want to watch yet another Hollywood fairy tale representing no one and nothing in particular. Being confronted with slow cinema scenes, like when watching a man walking on the road slowly, until he disappears on the horizon, without cuts and the acceleration of the scene, we switch to a mode of meditation. We ponder life, and every scene can have a ripple effect in our daily existence. As with the effects of meditation, we may become more perceptive, attentive, even grateful for every moment we can be alive. Slow cinema can make us appreciate more the time we have, by showing us its quality. We can see life itself differently. Andrei Tarkovsky once said: “Film is a mosaic made up of time.” The same can apply to life. When slow cinema reveals it to us, the magic happens. An interview with Michel Ciment, by Filmmaker Magazine; available here. Kamila Kunda is an English teacher based in Amsterdam, the Netherlands, currently looking for new professional challenges. She has lived in seven countries on three continents and loves learning about various cultures. Her greatest passions are literature, world cinema and photography. She shares her stories here.